We have added another page to our information section – Hearing and Ear Care Advice. We have added a new page, Common Hearing Problems, which deals with many of the topics above related to hearing problems and ear care. This entry was posted in Ear Care, Hearing, Sight and Hearing and tagged ear care, hearing on September 25, 2013 by impactadmin. 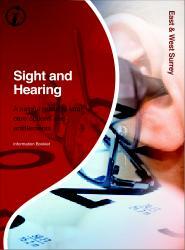 The latest topic we are focusing on is Sight and Hearing. We have started by adding more information to the sight section with our page Sight and Eye Care. This deals with Common Eyesight Problems, Sight Tests and why they matter, Opticians, NHS Sight Tests, Getting Glasses on the NHS and Replacing Glasses on the NHS. This will be coming soon in the next couple of weeks and further links will be added to the blog as pages are added. The next update will be for the hearing section of the guide. This entry was posted in Laser Eye Surgery, Sight and Hearing and tagged Eye Care, Eye Health, Eye Tests, Laser Eye Surgery, Sight, Sight Tests on September 13, 2013 by impactadmin. Bereavement – What are your rights?